I got an email today saying that babies start to show their affection at this point. It's true. 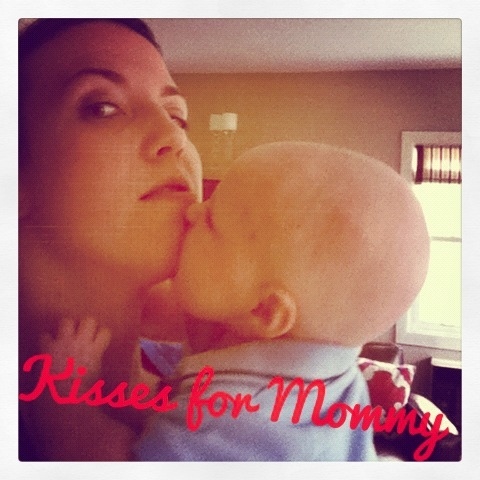 Sure he's teething but I like to think he's giving me kisses too. 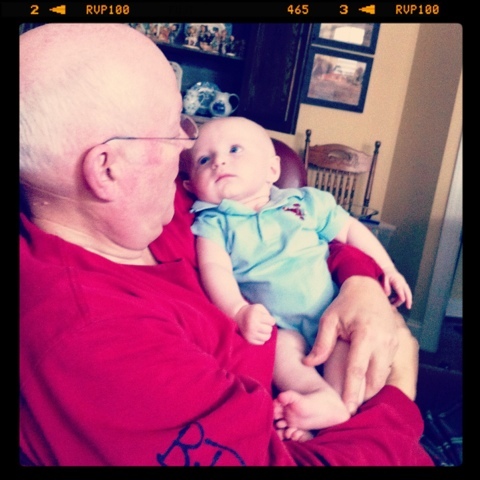 And the look he's giving his grandpa? Pure love.